I'm sure you all know what I'm talking about when I say there are some games that just cannot be put down. You get the game, pop it in, and would keep playing for as long as humanly possible. Well, the list of games that do that for me just grew today. Below are the games I just couldn't put down when they came out. I picked it up on launch day, took it home, and played it for twelve hours before finally going to sleep. Looking back it is probably the most excited I have ever been for a game releasing. I considered myself a fan of God of War but wasn't super excited for the second game. On Easter my mom and dad decided to splurge and get me God of War II. After popping the game in and starting it I seriously didn't want to stop. Even though it was longer than God of War and God of War III I beat it in two sittings. I knew Bioshock was going to be great as soon as I read about it in Game Informer's reveal. Everything about the game sounded so completely unique. Thankfully the coverage on the game was correct and Bioshock ended up being an experience I never wanted to end. Even before the game released I played through the demo multiple times to the point that I had glitched it and stood outside of Rapture's ceiling. The experience with Bioshock still remains fresh in my mind as one I always wish would keep going. I got Pokemon White at launch, was extremely excited, and have no idea how any school work got done that week. You have a bit more free time in college but somehow I played Pokemon White for 60 hours in less than five days. I'm still not sure how that happened. The newest addition to my list is only recently finished and still extremely fresh in my mind. Playing this game though was an experience I was torn up about having to stop so I could go home for Easter Break. I was pretty much sold before I started playing but the opening minutes of the game alone were enough to make me feel a part of that world just as much as Rapture did back when I played the original. 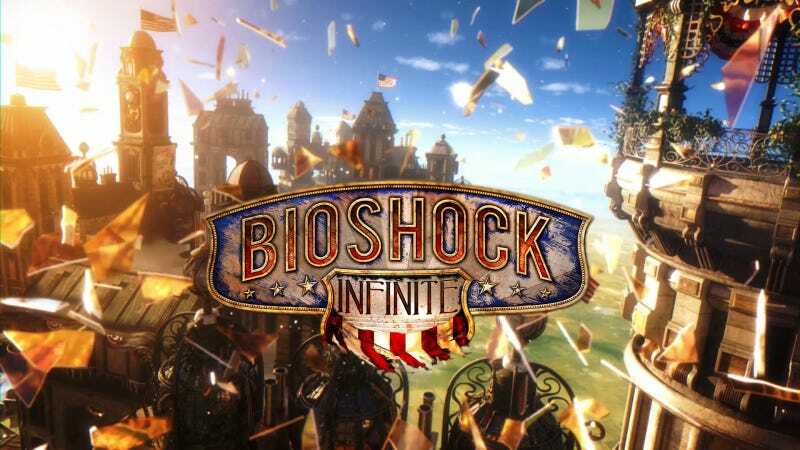 Bioshock Infinite is a great addition to the games I just couldn't put down. What games have you played that you just really didn't want to end, or just couldn't stop playing?